China has handed over two ships to the Pakistan Navy to safeguard the strategic Gwadar port and trade routes under the USD 46 billion China-Pakistan Economic Corridor, a move likely to raise alarm in India. China handed over the two ships to the Pakistan Navy yesterday for joint security along the sea route of the China-Pakistan Economic Corridor (CPEC), Dawn News reported. The Gwadar port in Pakistan’s restive Balochistan province has been developed under CPEC linking western China through Pakistan with the Middle East, Africa and Europe. 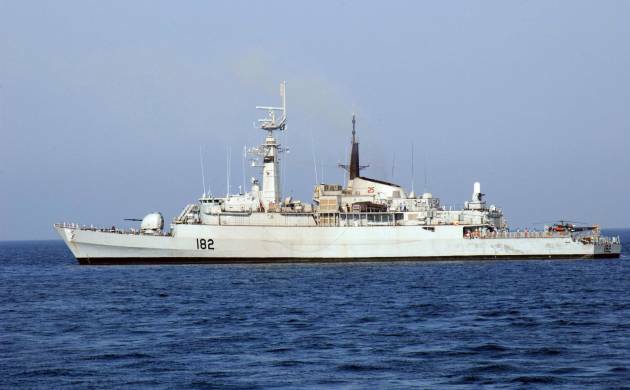 The ships—named after two rivers Hingol and Basol near Gwadar—were received by Commander of the Pakistan Fleet Vice Admiral Arifullah Hussaini. Recently built in China and equipped with state-of-the-art guns, the ships will be part of Pakistan Navy and also used to protect the sea-lanes in the Arabian Sea.A ceremony was held in Gwadar where Chinese officials, who reached Gwadar aboard the ships, handed them over to their Pakistani counterparts. Director General of the Pakistan Maritime Security Agency Rear Admiral Jamil Akhter, Commander West Commodore Mohammad Waris and top naval and civilian officials were present on the occasion. “The Chinese ships have become part of the Pakistan Navy from today,” Vice Admiral Hussaini said, adding that the navy would become stronger with the induction of the ships. He termed the induction of the Chinese ships into the Pakistan Navy as a “historic moment” and said the ships would be deployed for the security of the Gwadar port and the sea route of the CPEC. The Chinese government will provide two more ships to Pakistan Navy which have been named Dasht and Zhob after two districts in Balochistan. China is extending help and cooperation to Pakistan for security along the CPEC’s land and sea routes. Pakistan has already raised a new division of the army to ensure security along the CPEC route and in and around the Gwadar port. Security of Gwadar city has been handed over to the army’s new division raised during the tenure of former army chief Gen Raheel Sharif. In the past, China has shied away from saying that it plans to deploy its naval ships in Gwadar, a move which could raise alarm in the US and India. China has not only rebuilt the Gwadar port but also has its operational control. It is also building a network of roads and railways to link up its remote western region to Gwadar for easier access to the Arabian Sea. The revamped Gwadar port became operational in November last year after two cargo ships laden with containers set off for Bangladesh, Sri Lanka, the UAE and EU.